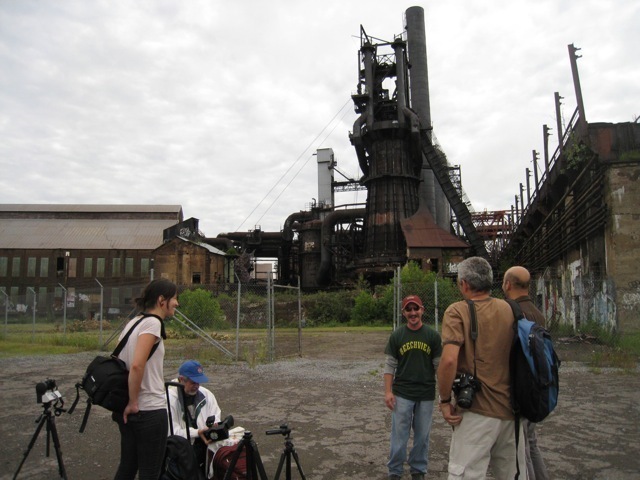 On Wednesday, Ron Baraff of Rivers of Steel and Dror led us on a photo-expedition to Carrie Furnace in Rankin, where iron was made for most of the 20th century -- a furnace that helped to make Pittsburgh the steel center of the world. The furnace was shut down in the 1980s, and has been rusting since. 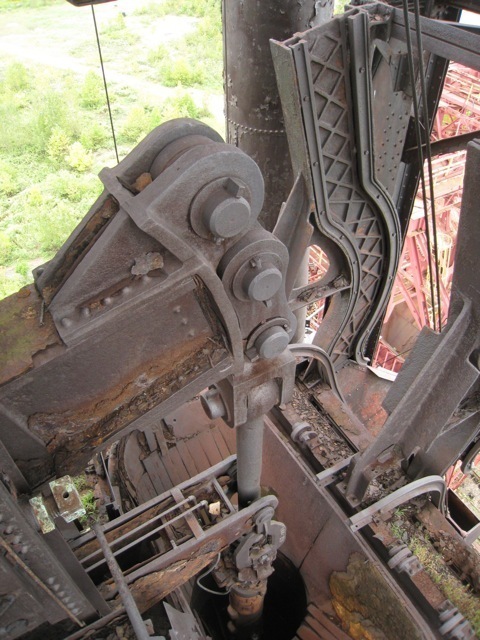 Rivers of Steel has secured National Historic Landmark status for the site with the National Park Service. Money and volunteer work are needed to preserve the site so that someday it can be opened to the public. 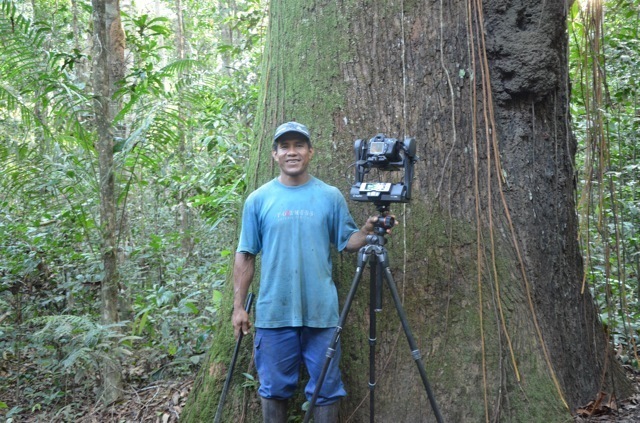 Our goal that day was to improve the photographic record of this incredible site. Pictured below, Clara, Richard Palmer, Ron Baraff, Brian (a photographer from Pop City, who also happened to be there), and Dror prepare tripods, panoheads, and cameras. 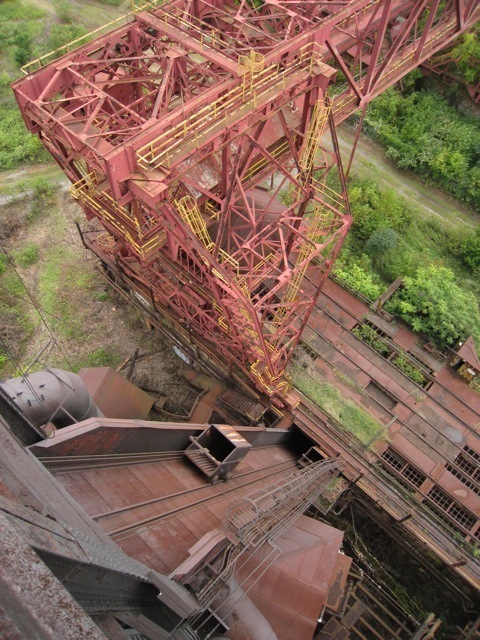 I climbed up to the top of one of the furnaces and got a view down on the ore bridge and the skip cars (buckets) that were used to haul iron ore, limestone, and coke to the top of the furnace. Those ingredients get dumped into the feed hopper here. view from bleeder valve - very high! 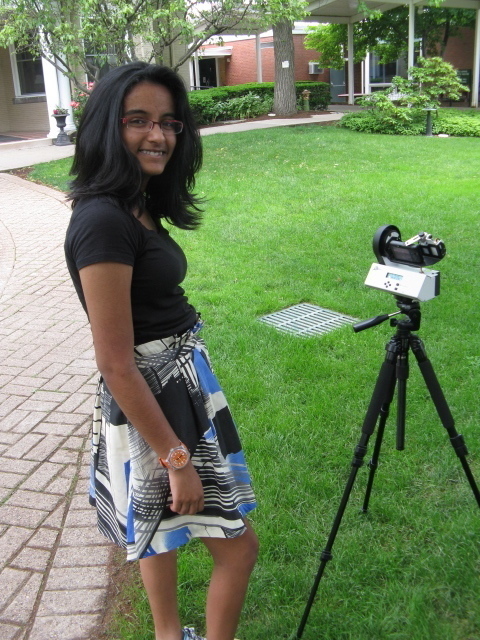 On June 26, 2011, I presented GigaPan as part of a joint technology panel with the Excellence Through Classics Committee and the National Committee for Latin & Greek at the American Classical League Summer Institute in Minneapolis, Minnesota. 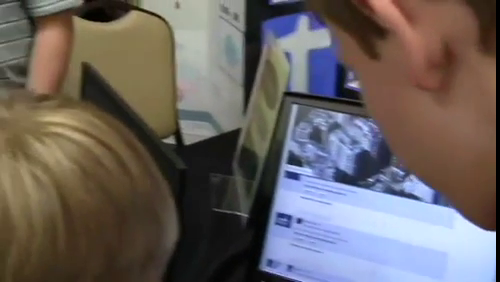 I enjoy sharing ideas using technology in the classroom especially with Classics teachers. Using GigaPan is great way to integrate technology and bring the study of the ancient past to life. Conference attendees, learned how to explore panoramas using the gigapan.org website and the process of taking snapshots and leaving comments. The display of a large gigapan print of the Roman Forum generated lots of interest and allowed attendees to participate in dialogues throughout the conference. They were invited to attach sticky notes to the print in English or Latin, creating a truly interactive exhibit. 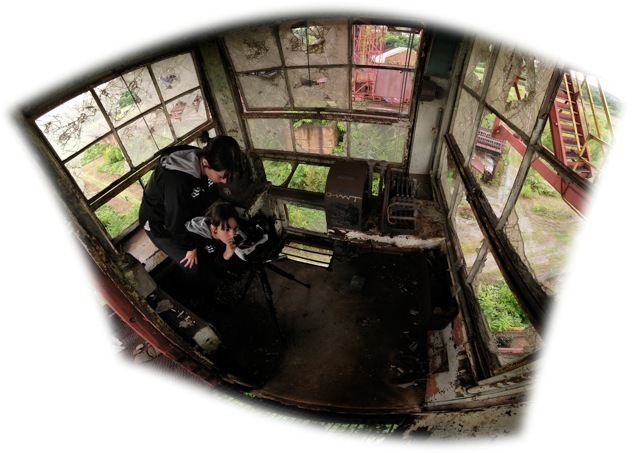 There were comments about objects in the panorama, observations about the weather, plant life and architecture. There was even a recommendation on a place to eat near the Forum. Above an image of young girl, someone wrote, “Ecce! In pictura est puella.” (Look! In the picture is a girl.) Attendees would read the post and laugh. They recognized the famous first line in Ecce Romani – a Latin textbook. Notes also included drawings; someone had “rebuilt” the deteriorated sculptural form on the top of a column to restore Rome to all its glory. 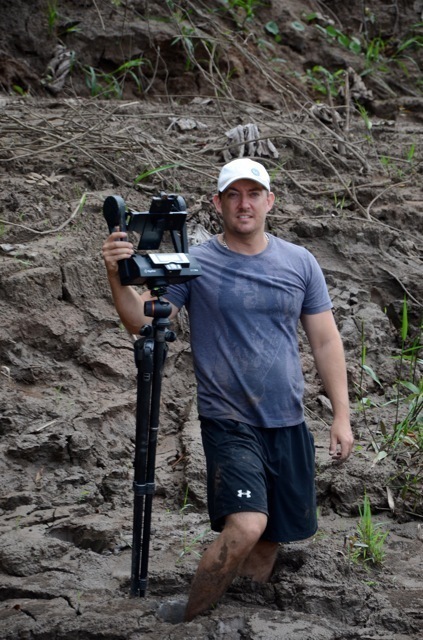 GigaPan.org is a wonderful resource for teachers of all disciplines! Special thanks to the Committee on Latin in Elementary Schools of the National Committee for Latin & Greek, Frank Neuperger, photographer, and the CREATE Lab at Carnegie Mellon University - with special thanks to Clara Phillips.